Below you fill find all funeral homes and cemeteries in or near Dallastown. Dallastown is also known as: York County / Dallastown borough. Their current mayor is Mayor Terry Myers Sr..
Zip codes in the city: 17313. Some of the notable people born here have been: Kim Jones (journalist), and Amy Miller (actor and model). Dallastown is a borough in York County, Pennsylvania, United States. The population was 4,049 at the 2010 census. It was revealed on June 9th, 2018 that Lawrence E Fox passed on in Dallastown, Pennsylvania. Fox was 88 years old and was born in Buckholts, TX. Send flowers to express your sorrow and honor Lawrence E's life. It was noted on February 26th, 2015 that Shawn L Sipe perished in Dallastown, Pennsylvania. Sipe was 58 years old. Send flowers to express your sympathy and honor Shawn L's life. It was reported by Lancaster Intelligencer Journal on April 19th, 2013 that Pauline Marie Gohn (Young) passed on in Dallastown, Pennsylvania. Ms. Gohn was 100 years old. Send flowers to express your sympathy and honor Pauline Marie's life. It was noted by The Times Herald on April 30th, 2012 that Reba J Raeburn (Jones) died in Dallastown, Pennsylvania. Ms. Raeburn was 93 years old. Send flowers to express your sorrow and honor Reba J's life. It was written by Harrisburg Patriot News on March 2nd, 2012 that Floyd LeRoy Hoffner perished in Dallastown, Pennsylvania. Hoffner was 76 years old. Send flowers to express your sorrow and honor Floyd LeRoy's life. It was revealed by Juniata Sentinel on November 30th, 2011 that James J Cunningham passed away in Dallastown, Pennsylvania. Cunningham was 88 years old and was born in Lisbon, ND. Send flowers to express your sympathy and honor James J's life. It was disclosed by Lancaster Intelligencer Journal on October 20th, 2011 that Margaret M Talbot (Valentine) perished in Dallastown, Pennsylvania. Ms. Talbot was 85 years old. Send flowers to share your condolences and honor Margaret M's life. It was revealed on October 6th, 2011 that Leona Mae "Cookie" Cook (Horner) passed away in Dallastown, Pennsylvania. Ms. Cook was 89 years old. Send flowers to express your sorrow and honor Leona Mae "Cookie"'s life. It was written by Harrisburg Patriot News on October 6th, 2011 that Linda Anne Rudisill (Salvesen) perished in Dallastown, Pennsylvania. Ms. Rudisill was 66 years old. Send flowers to share your condolences and honor Linda Anne's life. It was disclosed by Harrisburg Patriot News on September 20th, 2011 that Anne Zart (Adams) passed on in Dallastown, Pennsylvania. Ms. Zart was 88 years old and was born in Detroit, MI. Send flowers to share your condolences and honor Anne's life. 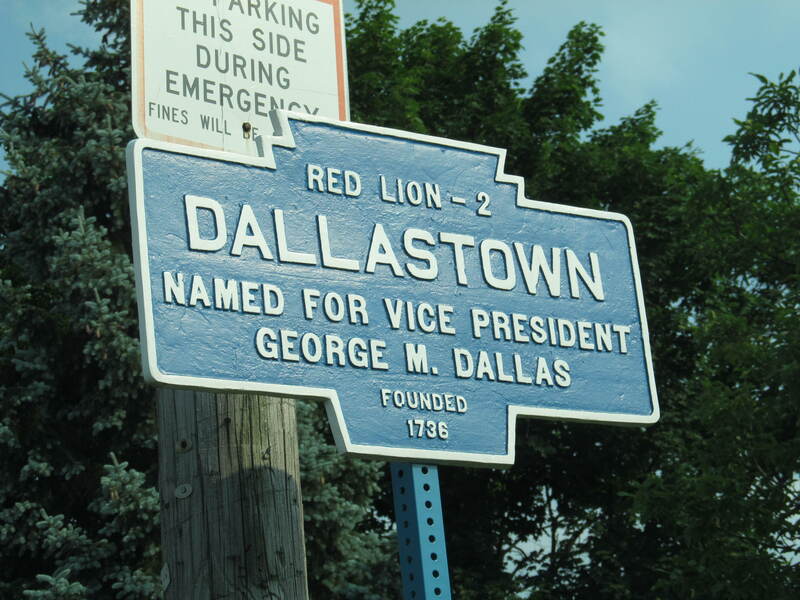 Dallastown is named after George M. Dallas of Philadelphia (VP of the James K. Its mayor is Mrs. Polk Administration) during the presidential campaign of 1844. Dallastown was incorporated April of 1866. The official website for the city of Dallastown is http://www.dallastownboro.com/. Toms and his wife, Judy Toms, of Dallastown; and a number of nieces, nephews and cousins. A viewing will be Thursday, Oct. 28, 2010, from 7 to 9 p.m. at Thomas L. Geisel Funeral Home and Cremation Center, 333 Falling Spring Road, Chambersburg, Pa. Listing all funeral homes in Dallastown, Pennsylvania so you can easily send flowers to any location (same day delivery) or find any funeral service. We work with local florists and flower shops to offer same day delivery. You will find budget sympathy flowers in Dallastown here. Our funeral flowers are cheap in price but not in value.